Prominences (called filaments when they are observed on the solar disk) often lie along polarity inversion lines (PILs - lines separating positive and negative polarity regions). A well-known feature of the corona is that a large-scale shear and twist of the magnetic field is often present at these locations (referred to as filament channels). 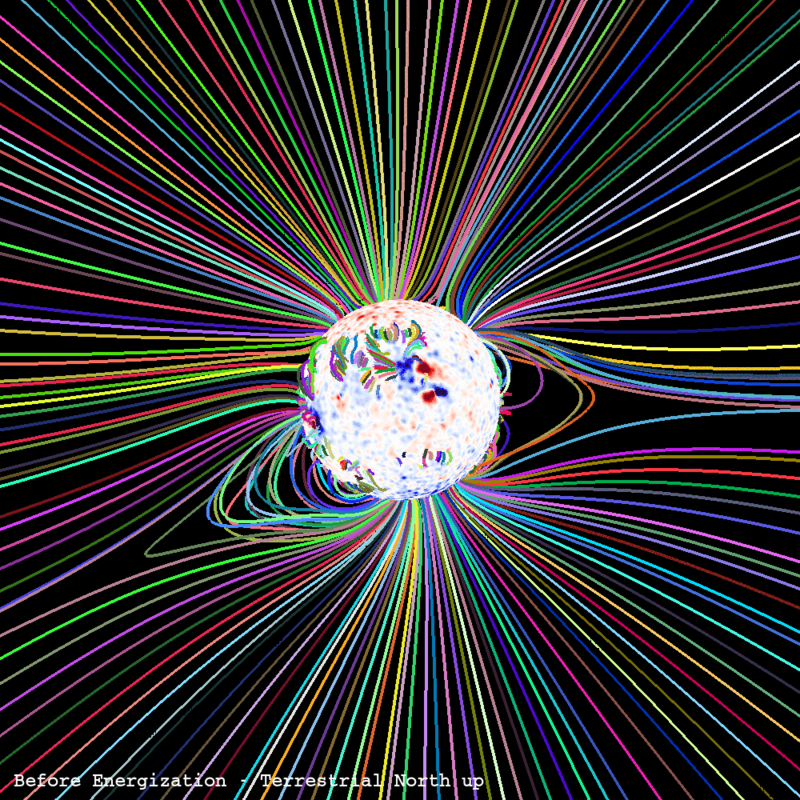 This energization of the magnetic field can structurally change the shape and morphology of the overlying streamers. It is difficult to deduce these large scale features of the magnetic field just from magnetograms, and so we have previously not attempted to include these effects in our prediction. 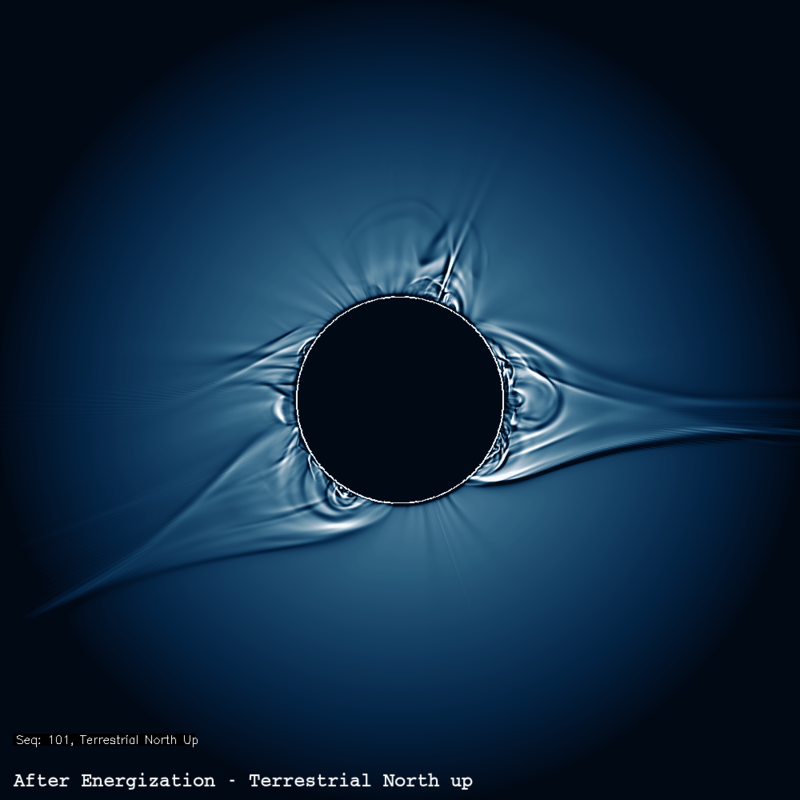 Magnetofrictional models of the long-term (months to years) evolution of the solar corona, driven by models of the surface flux transport, have been very successful in characterizing this large-scale shear. In this year's final prediction, we energized the large-scale magnetic field by emerging shear and canceling flux within filament channels (identified in SDO/AIA EUV emission images). The handedness of the shear was deduced from the results of a magnetofrictional model provided by Duncan Mackay. The magnetofrictional model was developed by Duncan Mackay of the University of St. Andrews, UK, and Anthony Yeates of Durham University, UK. 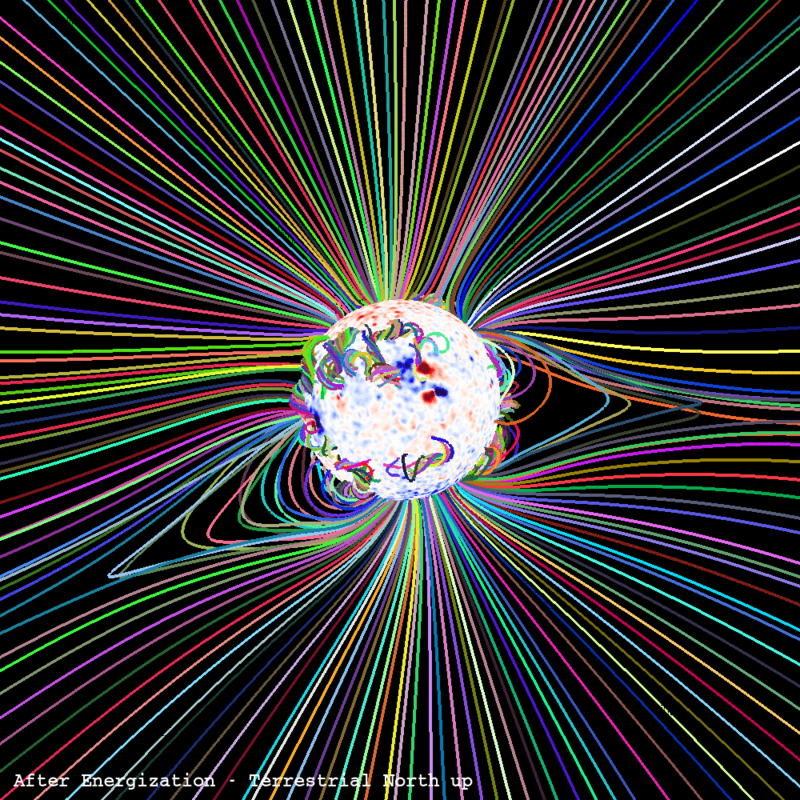 The magnetofrictional model was driven by the evolving photospheric field from the Advective Flux Transport model provided by Lisa Upton of High Altitude Observatory. 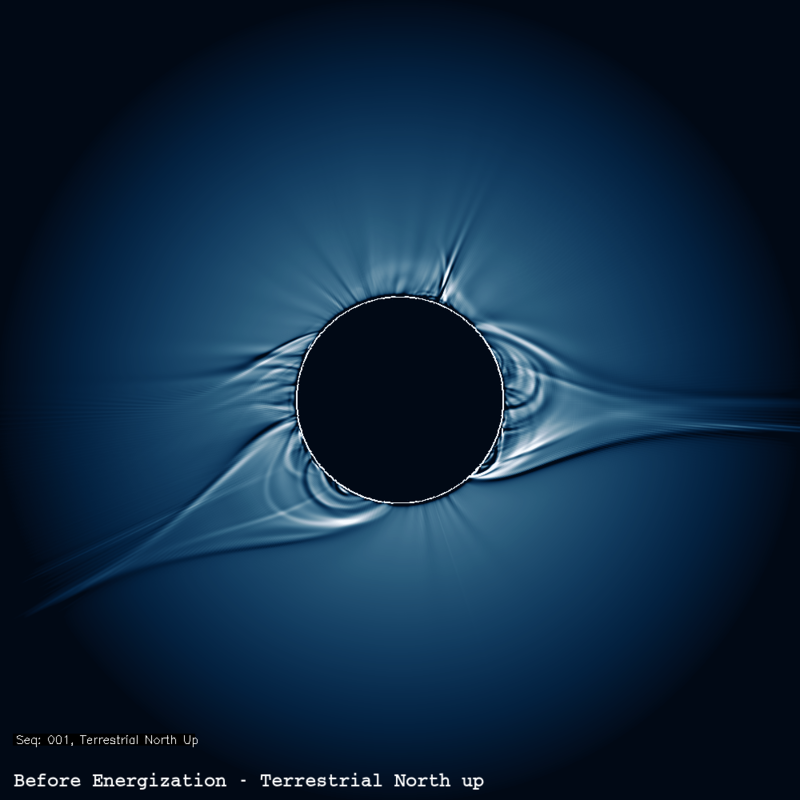 The introduction of shear qualitatively changes the shape of the streamers and the connectivity of the underlying fields, and increases the free magnetic energy in the corona. It can even produce a CME.